Suzuki SX4 S-Cross 1.0 Boosterjet SZ-T ALLGRIP 5dr 2019 Review | What Car? What Car? will save you at least £3,192, but our approved dealers could save you even more. The S-Cross’s 1.0 petrol engine is actually the same as the one found in the firm’s latest hatchback, the Baleno. 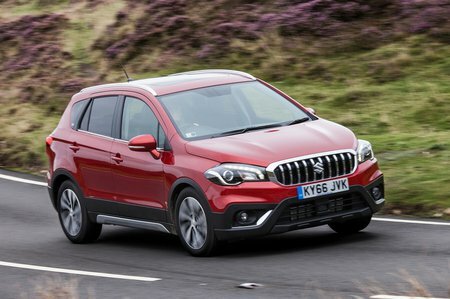 It’s powerful enough for the S-Cross to feel comfortable in and out of town, but if you want to sprint down a slip road to get up to speed, or overtake in fast moving traffic, it has to be worked hard. As with most three-cylinder engines, there are some vibrations through the controls, but this is no worse than in some of its rivals.This engine doesn’t pack much of a punch, but there’s enough power and torque for it to feel comfortable in and out of town. It needs to be worked hard to really get a move on, but at least it stays relatively refined when doing so.